I am trying to get into more a of routine for the readers so every Wednesday you can expect an outfit. 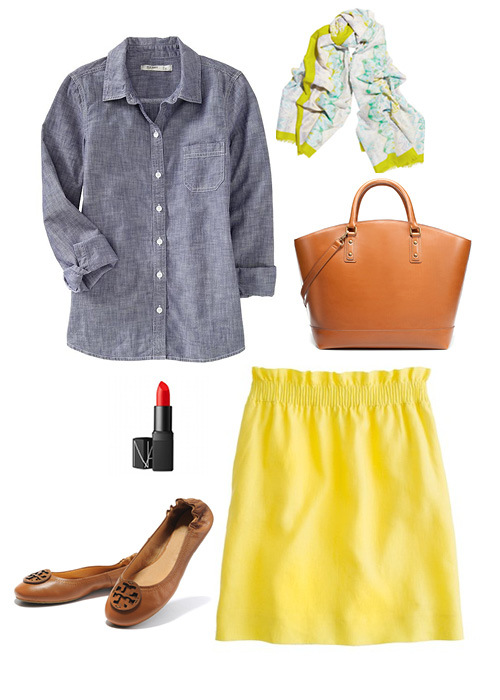 This week I wanted to feature this lovely yellow skirt from Jcrew. It is the perfect color for spring. Pair it with a chambray shirt and a red lip and you are ready to face the day. I hope everyone has a lovely Wednesday!